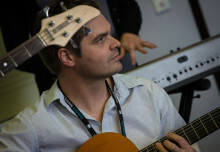 What do you do: Music Co-Ordinator at St. George’s. What is your background: Bassoonist, although it’s been a while so I’m not sure I’m technically one at the moment. Probably more like Jack-Of-All-Trades Master of None at the moment. I did a BMusEd at Uni and didn’t want to leave so I did my Honours, then my Masters. 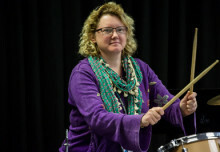 I started teaching as a Primary School Music Specialist, and changed to Secondary when I moved to the UK on a 2 year working-holiday visa, which turned into 5 years. 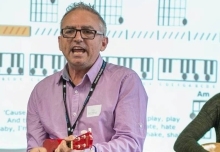 While in the UK I shifted the focus of my Masters research to a UK context, which is when I first came across Musical Futures (as part of my Lit Review). 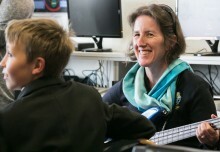 I started using Musical Futures in the classroom when I returned to Australia. Along the way I’ve played Bassoon, Clarinet, Piano and bits of junk in various bands, conducted choirs, written music for theatre, and got into DJ’ing (which is now the bulk of my music-making outside of school). 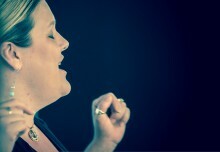 Five words that sum up Musical Futures: Real, Fun, Engaging, Motivating, Worth-It! That might be 6 words.